Note: Instead of egg, you can use maida/all purpose flour for the coating by making a thick paste mixing maida and water. 1. Pressure cook the potatoes. Mash it and keep aside. 2. Heat oil. Add jeera and ajwain. When they pop, add onions and ginger-garlic paste. Fry till onions are golden. 3. Add carrots, beans and beetroot. Mix well and cover and cook till the vegetables are soft. Open lid and stir fry for a couple of minutes till all the water has gone. 4. Add turmeric powder, coriander powder, red chilly powder, garam masala, amchur powder and chaat masala. Mix well and fry for 2-3 minutes. 5. Add the mashed potatoes, coriander leaves, salt and mix well. Cook for another 4-5 minutes. Allow the mixture to cool. 6. 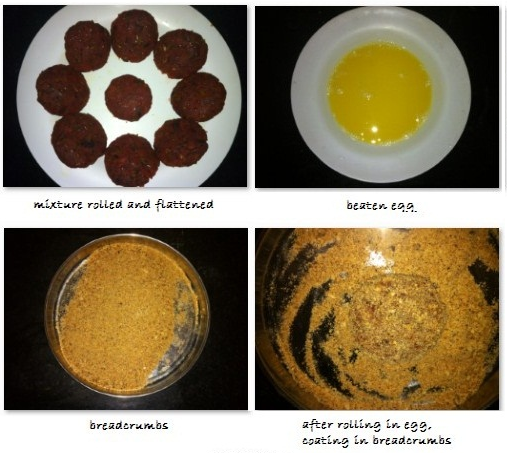 Beat the egg and pour in a plate and take bread crumbs in another plate. Scoop a lemon sized mixture and roll into balls. Put the ball in between your palms and gently flatten it. 7. Coat the cutlet with egg first and then roll in the breadcrumbs. Make sure that the breadcrumbs are coated all over the cutlet. 8. Heat oil in a pan. Shallow fry these cutlets till both sides turn golden brown. Remove and place in a tissue paper to soak the excess oil. Delicious cutlets...posted one on my space very recently.. 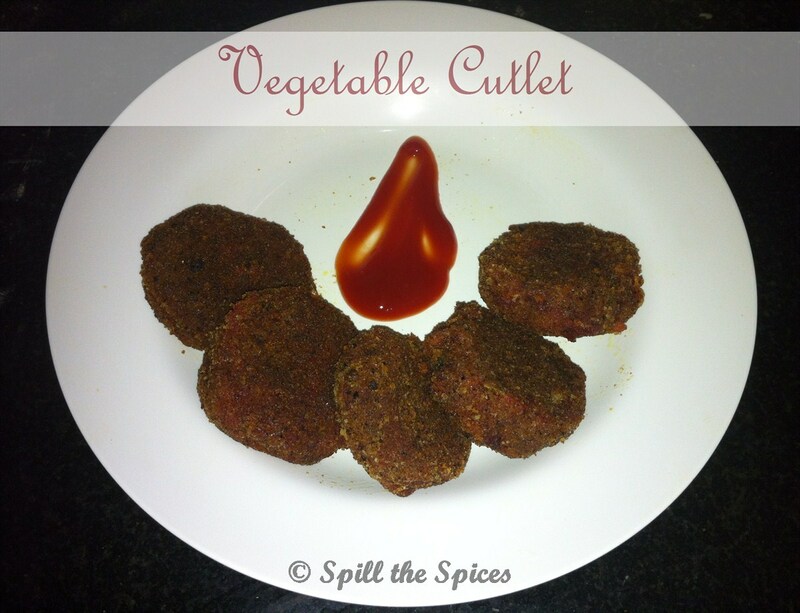 Thanks Indrani.. Have linked this to your event..
Yummy delicious cutlet..my favorite too,Sona!! Happy to follow your space dear..